(Houston – October 11, 2018) – World Space Week, October 4-10, 2018 was celebrated at a record-breaking scale, it was reported today by World Space Week Association. A total of 4,413 World Space Week 2018 events were reported in 93 countries as of today by over 3,000 organizations. “These are all new records, and the numbers are expected to grow as reports continue to come in,” said Maruška Strah, the Association’s Executive Director. “Saudi Arabia was by far the greatest participant with over 2,500 reported events,” Strah said. Saudi Arabia’s Ministry of Education uses World Space Week in the nation’s schools each year to promote STEM education, the Association reported. Other top countries participating in UN-declared World Space Week 2018, include India, Romania, Croatia, and the United States according to preliminary data. Highlights of this year’s global celebration included talks to schools across Western Europe by Airbus employees, daily IMAX videos on Instagram, public telescope viewings, open houses at space facilities, pictures of large events from space by Planet, and a special transatlantic crossing of the Queen Mary 2. “We thank all the participants, coordinators, and World Space Week Association volunteers and staff, sponsors and partners for this record-breaking year,” said Strah. The largest space event on Earth, UN-declared World Space Week is celebrated October 4-10 annually. It is an international celebration of the contribution of space science and technology to the betterment of the human condition. 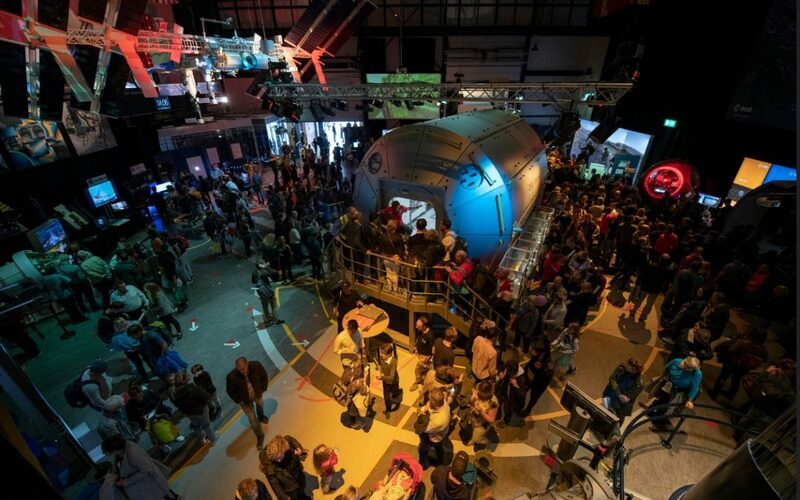 World Space Week consists of a myriad of space-related events held by space agencies, aerospace companies, schools, planetaria, museums, and astronomy clubs in a common timeframe to achieve greater student and public impact. World Space Week Association is the global coordinator of World Space Week. WSWA is an international non-government, non-profit organization led by volunteers. The Association is a permanent observer on the UN Committee on the Peaceful Uses of Outer Space and is supported by voluntary contributions of sponsors including Lockheed Martin.